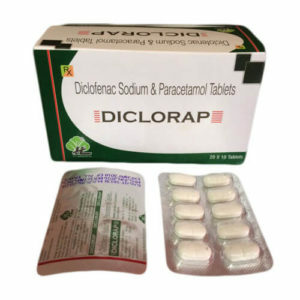 Diclofenac Potassium 50mg+ Paracetamol 325mg+ Serratiopeptidase 10mg- Diclofenac is used for relieving pain and swelling from mild to moderate. It is also used for treating dental pain, backaches, muscles aches, sports injuries and many similar painful conditions. Along with this, it is also helpful for treating joint stiffness. 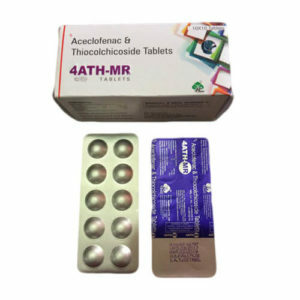 Paracetamol is also used for treating pain and fever. 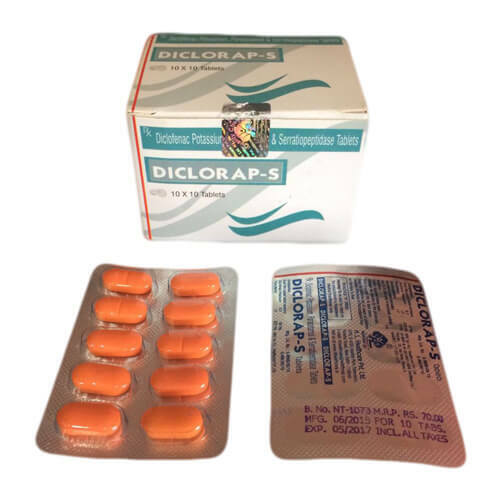 On the other hand, Serratiopeptidase is also used for reducing pain, swelling that is linked with a condition like arthritis, migraine headaches etc.